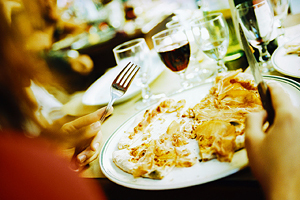 Dining has been and always will be an important element of cruising. Every cruise line and their fleet offer a different dining atmosphere with a trademark spin on several styles of cuisine, but some cruise dining experiences go way above and beyond to provide a completely unique dining event. These are dining experiences you have to see (or taste) to believe; the kind that tempt you to squeeze in an extra meal just so you can go back for more. Norwegian Cruise Line combines the amazing acrobatics of Cirque du Soleil with mouthwatering cuisine for the uniquely entertaining Cirque Dreams & Dinner. Cirque Dreams debuted aboard the Norwegian Epic and was taken to a whole new level with Norwegian Breakaway’s Cirque Dreams & Dinner Jungle Fantasy. This jungle-themed dinner show takes guests on an exotic journey from inside the ship’s Spiegel Tent. You’ll dig into outstanding cuisine while marveling at the talented acrobats, aerialists and musicians during this family-friendly dining experience. When Cirque du Soleil’s talented cast of performers blend with Norwegian Cruise Line’s skilled chefs, the result is nothing short of fantastic – and certainly unique. Norwegian’s Cirque Dreams dinners range from $29 to $40 per person. 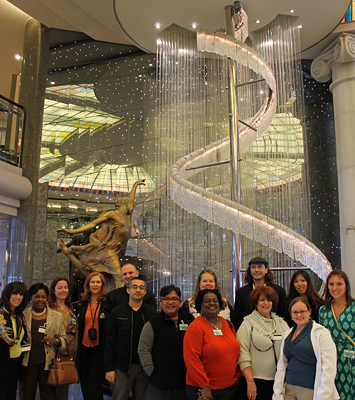 In October our cruise consultants got to take a tour of the stately Crystal Symphony. The intimate luxury ship was in Baltimore getting ready to embark on an exciting voyage. 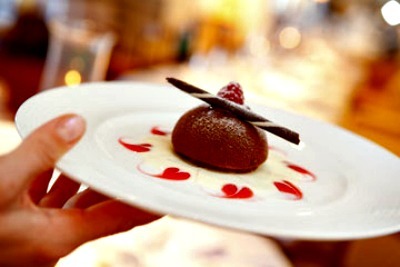 Overall our consultants were extremely impressed by the décor and styling of the ship, along with the tasty food. 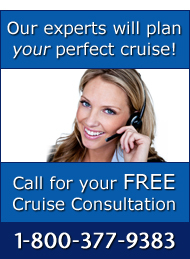 Take a look at some of their thoughts, and if you’d like to learn more about Crystal Cruises be sure to call The Cruise Web to speak with an expert cruise consultant. 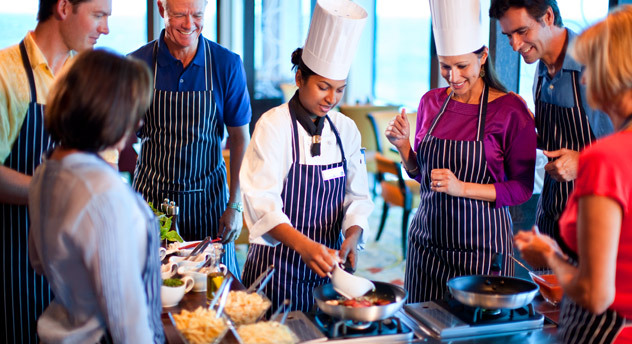 Starting in January 2014, Oceania Cruises will be introducing new lunch menus for the Terrace Cafe and Grand Dining Room. While the full extent of the new menus has not been revealed, this week Oceania unveiled 13 new items, nine of which represent one country’s culinary heritage. The other four represent the foods served in regions Oceania ships travel to. These 13 items can be shared among your party as an appetizer or eaten as an entrée. 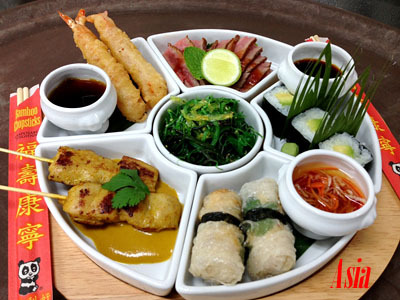 Each is made up of six to seven small dishes. 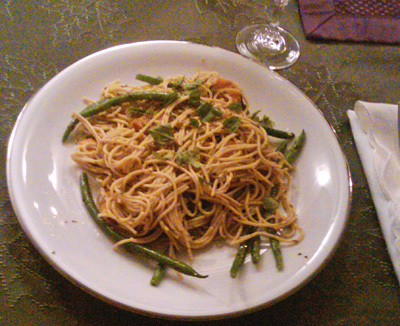 Princess Cruises has had great success serving this pesto pasta dish on their Panama Canal cruises. The fancy dinner is served in one of the ship’s main dining rooms. With fresh clean flavors, it’s the perfect complement to a day in the sun spent on an excursion or learning about the intense history of the canal’s construction. When you get back from your cruise, this is a meal you’ll want to replicate — and you’re in luck because this recipe is incredibly easy. Using only the freshest ingredients, I made two versions: one with red bliss potatoes as directed and one with sweet potatoes, a personal favorite. Both were simply delicious! The fresh pesto worked overtime. I decided to serve lightly toasted fresh sliced bread, but didn’t have any butter. Just before reaching for the olive oil, I brushed the slices with pesto, toasted in the oven at 400 and served immediately. It was a huge hit! 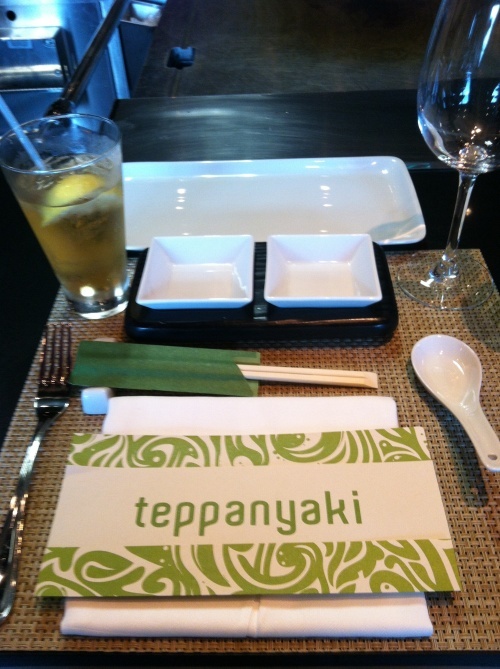 When I was confirmed for the 2-Day Pre-Inaugural cruise onboard the Norwegian Breakaway, I knew that one of the nights (or at least part of the night) would be spent at the Teppanyaki Japanese Steakhouse, which is featured on a number of Norwegian Cruise Line’s ships. 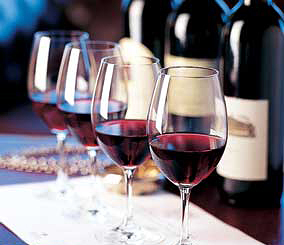 Crystal Cruises has now officially begun its transition to including adult beverages into the price of its cruises. The effort launched on the Crystal Symphony’s Miami to Lisbon Trans-Atlantic cruise that embarked March 19. 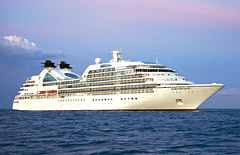 Crystal’s Serenity will follow suit with her spring Trans-Atlantic sailing on May 8. This means that guests can now enjoy a generous and impressive selection of complimentary fine wines and premium spirits throughout the ship, as well as open bar service in all lounges, and pre-paid gratuities for all housekeeping, butler, bar and dining staff. The complimentary drinks on board now include Grey Goose Vodka, Hennessy Cognac and Jacquart Brut Mosaique Champagne among many more.